Little I can add to previous reviews except to say that Saturday's cask ales were Greene King's Bo66y, Woodforde's Bure Gold, Adnams Ghost Ship, Beer Monkey's Blonde and Elmtree's Burston's Cuckoo. A great start to our afternoon. Excellent real ale showcase. On the bar were Woodfordes Reedlighter and Bure Gold, Ubu Purity, Hop Back Summer Lightning, and Grain 316 which was superb. Food is available but check times. As Blue Scumpy says it a lovely spot by the river and ancient bridge and for us only 10 minutes walk of the railway station and will be our point of call between trains in future. The Red Lion was our first stop in Norwich yesterday. 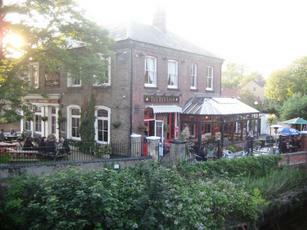 It's a corner pub with a nice situation next to the River Wensum. There were plenty of people in when we arrived at 11am yesterday. We believed that opening time was 11. But the number of customers would indicate it had been open earlier than that. 6 ales were on - Woodfordes Bure Gold, Elmtree Winter Solstice, Oldershaw Autumn Hue, Adnams Ghost Ship, Hardy & Hansons Rocking Rudolph & Green Jack Waxwing. The Winter Solstice was very nice indeed. A bridge next to the pub is Norwich's oldest and from it, you could see a number of people making full use of the river in various boats, even on a December morning. A good pub. 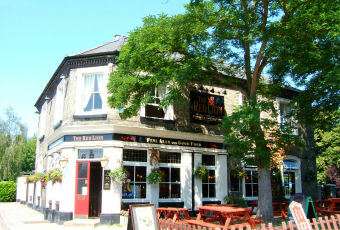 Small pub hidden away but very busy with football fans and locals when we visited on a warm summers evening. Good range of well kept fans. Prides itself on food, particularly pizzas. Small river terrace and drinking area. Well worth coming out of the centre of the city for. Traditional pub, 6 handpumps available with 5 in use on my visit. A bit pricy but a nice pub in a decent location.